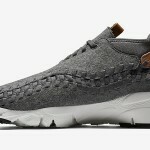 The newest variation of the Nike Air Footscape Woven is introduced in a linen colorway, as lifestyle images of the stylish silhouette are now featured. 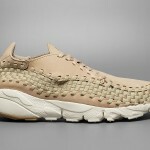 Defined by its full leather constructed upper with lateral lacing, the silhouette is draped in an aesthetically pleasing hue of light beige that emits premium flair. 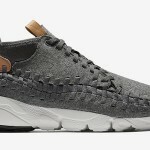 A woven textile overlay encompassing the silhouette provides a subdued, yet eye-catching element, as the model is rounded out with a white midsole unit and gum accents on the heel.